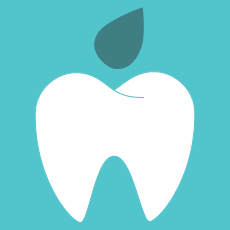 Fillings are an excellent way to protect teeth, helping them to maintain their strength and prevent further problems. We provide white or tooth-coloured fillings for patients, both for new treatments options and as a replacement for older-style amalgam fillings which are traditionally darker. The fillings we use are known as composite fillings. They are made from a resin that your dentist can colour match then mould to the exact shape of the tooth, setting it using a visible blue light. Composite fillings offer an excellent, discreet solution for minor damage or decay, with white fillings being the most popular. There are some limitations to using fillings, based on the size of filling required and the position in your mouth, but your dentist will take the time to clearly explain your options. For patients who feel that their old dark amalgam fillings are affecting their confidence to smile, the team at Dental Perfection are ready to help replace these for you. The latest white fillings are available in a range of colours and translucencies, so your dentist will be able to closely match the colour of your teeth to the new replacement fillings, giving the filling a natural appearance that others are unlikely to notice, so you can feel proud of your teeth once more. Get in touch to find out more about our composite fillings.